If you’re like me and just toss your phone in your handbag or briefcase, then you’re probably opening up all your plugs to all sorts of not-so-awesome dust and dirt. And while I’ve seen USB covers, I can’t say I’ve seen an actual smart phone dust plug. Until now. 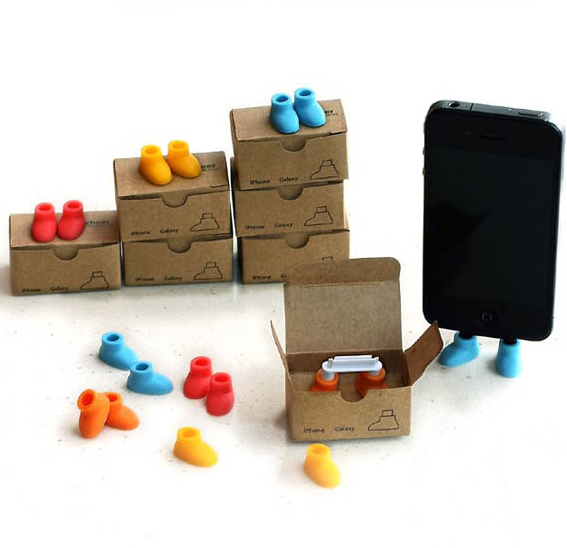 These hilarious feet smartphone dust plugs crack me up every single time. Just pop it into the plug on your iPhone 4, 4S, or 5, as well as your Samsung phone, and not only does it protect your phone from wayward particles that are surely floating around in your bag, but it also doubles as a cool phone stand. You can purchase the Shoes Smartphone Stand and Plug for $5 at MilanDIY on Etsy.